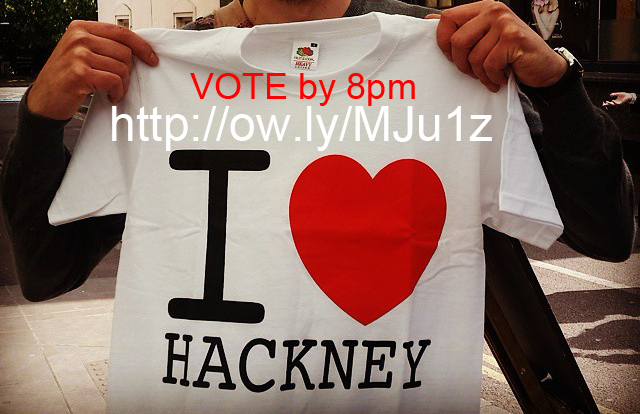 The small museum with a big heart, that is very close to my heart = Hackney Museum. Voting closes today at 8pm UK time for a once in a museum’s lifetime chance to work with Yinka Shonibare MBE, internationally acclaimed artist and Hackney resident. So even though he lives 6 streets down from our Museum we need to win his time, creative energy, vision, input through the funded Museums at Night competition. Every vote counts in these last few hours as we are up against some big museums and we know in hearts we have every chance of winning an amazing supper club to celebrate Black History season in October 2015. Voters get a chance to be a guest at Yinka’s Supper club!